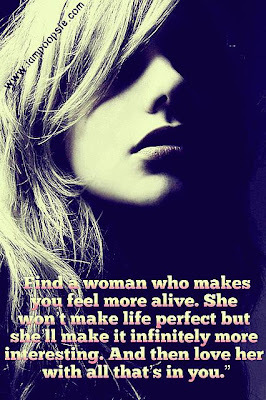 " Find a woman who makes you feel more alive. She won’t make life perfect but she’ll make it infinitely more interesting. And then love her with all that’s in you...."